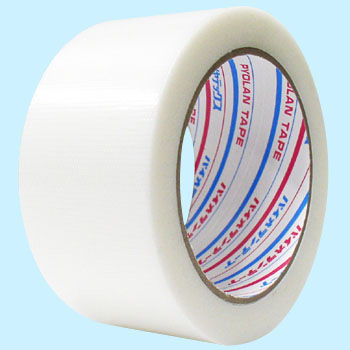 It is used as a masking tape for scratch protection during drilling of metal cases, but there is no problem for protection purpose, and it is a very easy-to-use product that is very easy to use because it leaves little glue when it is peeled off. This review is about item#8459193. It is not the original purpose of curing, but it is used as a slip prevention tool during machine maintenance. I tried various curing tapes, but this was the easiest to use. It is used for cutting surface of rope. Easy to cut, sticky, easy to peel, as expected. Despite its relatively strong adhesion, it is easy to detach, so it is convenient for use like a temporary stop. There are also adhesion and can be peeled and attached many times. It is very strong and easy to use with hands. This review is about item#08459193. I wanted white instead of milky, so I bought it. I am glad that it is conspicuous. Although it is used for curing, since it is just good adhesion, no trace remains after peeling off, and when it is fixed it has a proper adhesion and it is useful. There are no traces of peeling and it is useful.